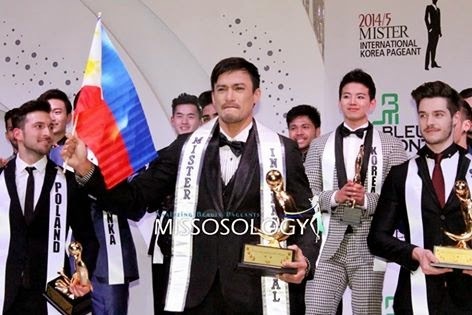 Mariano Perez Flormata Jr., alaso known by his screen name Neil Perez, a police officer and a trained bomb and explosives technician, won the coveted Mister International title in a pageant held in Ansan, South Korea on February 14th. Mister Lebanon Rabdi El Zein was the first runner-up while Tomas Dumbrovsky of Czech Republic was the 2nd runner-up. Mister Poland Rafal Maslak and Mister Slovenia Mitja Nadizar completed the Top 5. Winner: Philippines Mariano Perez Flormata Jr.